What are the Safest Door Locks for My House? 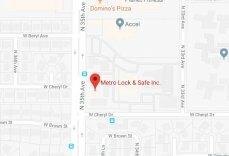 | Metro Lock & Safe Inc.
What are the Safest Door Locks for My House? Door locks are designed for either interior or exterior doors because each uses a distinct locking mechanism. As an example, deadbolt door locks are often used on entry doors whereas a push-button lockset for privacy finds use in bathroom doors. Clearly, entry doors require more security than an interior door such as that of a bathroom. When choosing a door lock, factors such as safety or security, style, cost, and finish often come into play. 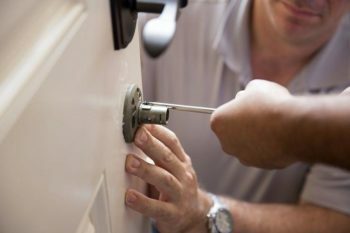 However, as locksmiths, we know that the security of a door lock is the most important, especially if you’re looking for one for your exterior doors. But, what types of locks are available on the market and which ones are the safest? Here are the different types of door locks on the market to help you find the best lock for you. One of the safest door locks for residential doors are deadbolt locks. Lacking springs (hence the name dead), they can be categorized as either single-cylinder or double-cylinder locks. Whereas double-cylinder locks use keys on both sides, inside and outside, single-cylinder locks use a turn button on the inside and a key on the outside. If the keys to a double-cylinder deadbolt lock go missing or get misplaced, they can pose danger in case of an emergency. Keyless door locks are designed to offer more advanced security to homes, and convenience to homeowners. It features an anti-theft rolling code that’s only used once. With these locks, certain models are built with alarms that go off if an incorrect code is entered three times consecutively. Moreover, some keyless door locks are designed for use in home security systems or certain compatible garage door openers. Designed to offer medium-security, handlesets and locksets find use in entrance doors. They are often used with deadbolt door locks to ensure the security of a home. Featuring two door knobs, one is often used on the outside and the other on the inside. A single doorknob depresses or turns a small button to lock the door on the inside; however, you must use a key to unlock the doorknob on the outside. It comes with an attractive door handle in various finishes to enhance the appeal of doors. Mortise door locks are built for versatile use on various doors to residential properties for increased security and convenience. They are also used on storm doors. It’s built with a flat, rectangular box that can fit into a door’s recess from its edge. It also comes with keyholes and a couple of faceplates with knobs. The latch of a mortise lock works on either side. However, if the outside knob is locked, it doesn’t work; the inside knob turns for the deadbolt to work. Smart or digital locks feature Bluetooth-enabled fingerprint scanners and deadbolts. There’s also a smart lock with a built-in camera yet to be released into the market. Built for use with door locks such as keyless locks, door security extras are designed to offer light security. A door strike plate, usually made from metal, features holes used to screw it to doorjambs and a bolt. It comes with six screws, each measuring 3 inches long to enhance the security of doors. Door jammers can easily be installed without using tools. They feature steel coated with rubber for added grip. On the other hand, a door’s security guard is installed on a door’s interior surface. It can open slightly to offer ventilation or give a peek outside. However, it can only be unlocked from the inside.